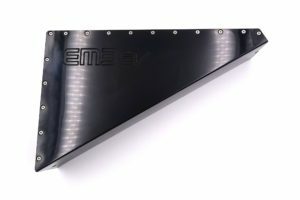 We are very happy (and a little proud) to announce our new Triangle Ebike Battery Pack This battery has fusible links on every cell in the pack (like all our hard case battery packs), a hard case and will be fitted with our new Smart BMS with Bluetooth Communication (BMS to be confirmed). This battery has been a work in progress for several months, but finally the outstanding details are now pretty much worked through and we can very soon put these into production (all produced in-house). There were several aspects of the triangle design that were new to us, which required new tooling to be developed, and that is why it has taken this long. However, now that we have developed the required methods and techniques to realize this Triangle Battery, we will be able to apply them to other complex shaped batteries in the future. So, expect to see more batteries along similar lines, in the coming months! We do plan in the near future to offer mounting hardware so that this battery can be fitted directly to your bike frame, so you will no longer need a bag. This hardware has not yet been designed in detail or built, but once it is complete, the battery can very easily be fitted with the planned hardware, for installation onto the frame (said mounting hardware is not yet ready, but will be available in the near future). We hope and expect to have these ready and offered for general sale, within 2 to 4 weeks. You can pre-order it now using below form. Please email us for bulk orders or if you have any questions.